Did you know that selling structured settlement payments for a lump sum can have an emotional impact on you because of the sudden wealth gain? In an Email interview with AnnuityCasher.com, world-renowned leading Financial Psychology expert, researcher and author of 5 great books, Dr. Brad Klontz, shares his views and expert advice on the psychological issues associated with receiving suddenly a large amount of money by inheritance, winning a lottery, structured settlement cash outs, etc.. 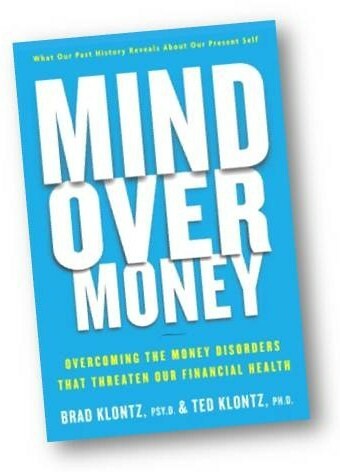 Sudden wealth gain, according to Dr. Klontz, can give rise to symptoms of "money disorders" that are buried deeply into the unconscious mind. In the interview, Dr. Klontz is addressing the unique problems of sudden wealth gain. He explains why getting the support of a financial therapist is a good idea in order to sort through problematic money beliefs and behaviors that can emerge along with receiving a large money lump sum. A nationally recognized financial psychology authority, Dr. Klontz goes to great length in his works to explain financial problems that are rooted in early life. He goes beyond usual financial planning advice in addressing not only the symptoms the origins of money disorders having their roots in bad "money scripts" that are hidden into the brain. I highly recommend reading Dr. Kontz's books, an invaluable source of psychological guidance to everyone, laymen and financial experts alike, regardless of financial and social status. 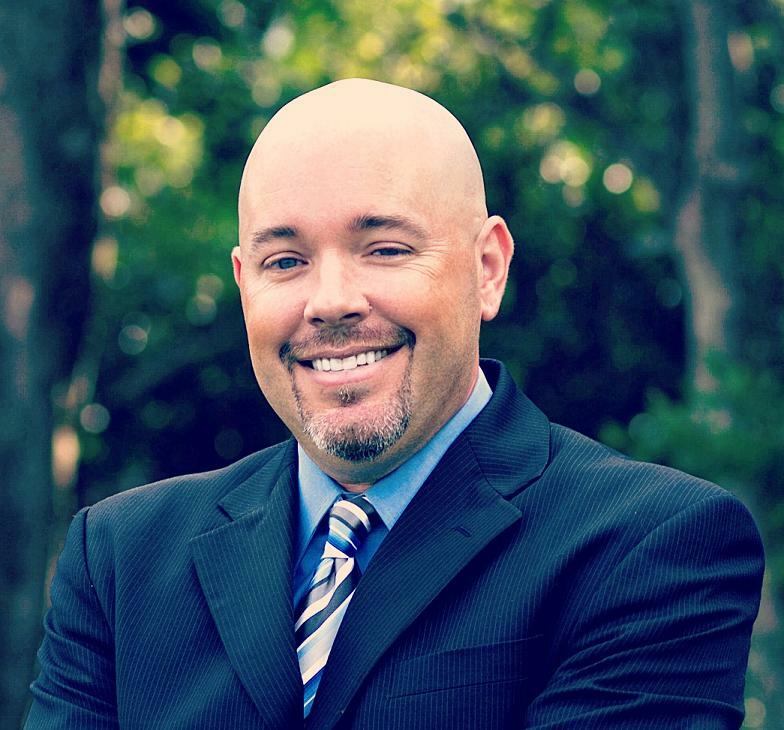 Rich or poor, young or old, Dr. Brad Klontz has something to say for everyone. his books are written in simple, free-flowing language, easy to understand and a pleasure to read. Are You An Expert On Related Financial Issues Relevant To Selling Structured Settlement Payments? Please Contact Me Here. I May Want To Do An Interview With You. Check Out More Expert Interviews In Relation To Selling Structured Settlements Here. Many thanks to you Dr. Klontz for giving away from your precious time to share with us you expert advice on managing sudden wealth gains and dealing with the "money disorders." AnnuityCasher: Dear Dr. Brad Klontz, as a leading expert, consultant and author of many books on “financial psychology”, it is an honor for us to be granted an email interview with you on the topic of “money disorders” and the detrimental effects of negative beliefs and emotions on managing money. We’d like to ask you a few questions specifically on the issue of psychological problems leading to problematic “relationships with money” in situations when people are gaining sudden wealth -- such as when selling structured settlement payment streams for a large cash lump sum. 1. What is the main destructive “money belief” and emotion threatening the ability of a person who is selling structured settlement payments for a lump sum to manage the large amount of money appropriately? Dr. Klontz: In our research at Kansas State University, we have found that certain money beliefs are linked to a whole host of self-limiting and self-destructive financial behaviors. A common self-destructive belief is that more money or things will make someone happier. While we can feel an initial rush when we come into money or buy a new toy, this emotional high is always short-lived and we return to our emotional baseline. In the midst of our euphoria, however, we can be susceptible to making bad financial choices. "While we might have always wished for or dreamt of receiving a large sum of money, most of us are not psychologically prepared to deal with it." 2. 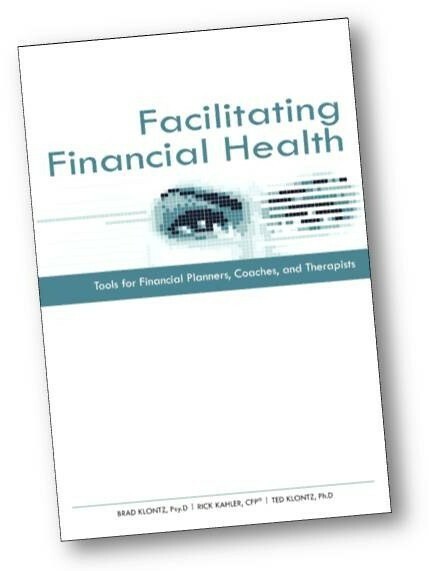 In your great book Facilitating Financial Health - a guide to help clients achieve financial health by addressing deep-rooted beliefs and perceptions of money - you write about how positive events, such as gaining a large amount of money, can lead to problematic emotions, including stressful fear of change. Likewise, in Wired for Wealth you write about sudden wealth gains as a cause to quickly leave people feeling confused, overwhelmed and depressed. According to this, a person who is selling structured settlement payments and receiving a large amount of money for it may feel stressful rather than happy. Why is it so that a person is feeling bad about having money and pressed to move back to his/her previous “financial comfort zone"? How is a feeling of not deserving wealth related to problematic experiences in early childhood? If we believe that “rich people are greedy” or that “money corrupts,” we are likely to consciously or unconsciously squander our money to avoid falling into the category of the nefarious wealthy. Coming into a large sum of money also causes significant amounts of stress for most people. While we might have always wished for or dreamt of receiving a large sum of money, most of us are not psychologically prepared to deal with it. For example, we may not know who to trust for help managing the money, because we have never dealt with financial professionals before. "Receiving the lump sum is usually accompanied by a feeling of euphoria, which can inhibit our judgment and rapidly diminish our purpose." We may start receiving solicitations from financial professionals. Friends and relatives may start making requests for money and/or we may feel guilty and compelled to give them money. It is alarmingly common for people to mismanage and squander sudden wealth gains to return to their financial comfort zone. 3. When people receive a large lump sum, such as from an inheritance, or when selling structured settlement payments, how likely are they to mismanage their money and lose it all quickly due to unresolved “money disorders” and problematic relationships with money? Dr. Klontz: If someone is struggling with a money disorder, such as gambling disorder or compulsive buying disorder, they are often experiencing significant financial stress due to overspending and high debt. Rather than providing them a financial lifeline, an influx of cash is akin to dumping gasoline on a fire. Instead of using the money to dig themselves out of debt, the money typically goes directly towards prolonging and worsening the self-destructive behavior. 4. What additional problematic behaviors with an impact on personal and social life can arise from wealth gains and from structured settlement cash outs rather than receiving sustained periodic payments over the years? Dr. Klontz: Squandering the lump sum is the primary problem, which is common when someone has never had the experience of managing money in the past. Receiving the lump sum is usually accompanied by a feeling of euphoria, which can inhibit our judgment and rapidly diminish our purpose. On the other hand, most of us are accustomed to receiving periodic, structured payments, which we call a salary. We are experiencing delaying gratification until we receive our next pay check, saving up money for a purchase, etc. "before you know it the money will be gone and the debt will be back." 5. What would you suggest as a good solution to the money problems of these sorts; how should a person handle negative thoughts, feelings and behaviors related to wealth gains such as selling structured settlement payments? Dr. Klontz: The first thing you need to do is to commit to doing nothing. It is critical that you take some time to psychologically prepare yourself for coping with the cash infusion. Seek consultation from professionals. Get advice from a CPA, a Certified Financial Planner™, or some other trusted financial professional. If you have had a history of self-destructive financial behaviors, it is critical that you seek the support of a financial therapist to help you sort through your problematic money beliefs and behaviors. If you do not do so, you will be at high risk for squandering the money. The Financial Therapy Association is an excellent resource for locating someone who specializes in the emotional and behavioral aspects of personal finance. "It is alarmingly common for people to mismanage and squander sudden wealth gains to return to their financial comfort zone." 6. What would you suggest as an ideal way to make use of money gained from selling structured settlement pay outs? For others, the lump sum could be invested with a Certified Financial Planner™ practitioner to set up a stream of income. For others it could be used to pay off a mortgage. Paying of consumer debt could be appropriate; however, if the debt has accrued due to disordered money behaviors, this will likely be just a short term fix and before you know it the money will be gone and the debt will be back. 7. Drawing on your own personal experience of losing money in the stock market in the past, what good piece of advice would you offer to people with access to money? Dr. Klontz: Professional money management help is important. When left to our own devices, the average human being will make terrible investment decisions; buying when the market is high and selling when it is low. 8. Can you tell us a little more about yourself and your valuable services, including your upcoming new book Financial Therapy: Theory, Research & Practice? Dr. Klontz: I am a psychologist and Certified Financial Planner™ practitioner, with a specialty in financial psychology research and practice. In addition to being an Associate Professor in Personal Financial Planning at Kansas State University, I am also a Partner at Occidental Asset Management (OCCAM), LLC, a fee-only registered investment advisory firm, where we manage approximately $160 million in client assets. I am also the author of 5 books on financial psychology, including The Financial Wisdom of Ebenezer Scrooge, Wired for Wealth, Facilitating Financial Health, Mind Over Money, and Financial Therapy: Theory, Research, & Practice, which will be released in the Fall. You can learn more about me and my work at www.Occamllc.net and www.YourMentalWealth.com. Thank you so much, Dr. Klontz, again for the great interview on the unique problems of selling structured settlement payment streams for a lump sum and how to handle well large sums of money. We really appreciate your time and efforts. Wishing you great success in your endeavors. Your expert advice will surely do much to improve people's lives by healing their money disorders and consequential problems. Please comment Here In the field below on the great Interview. Add your own thoughts and stories. We would like to hear from you! Sell Structured Settlement › Interviews › Selling Structured Settlement Payments and "Money Disorders"